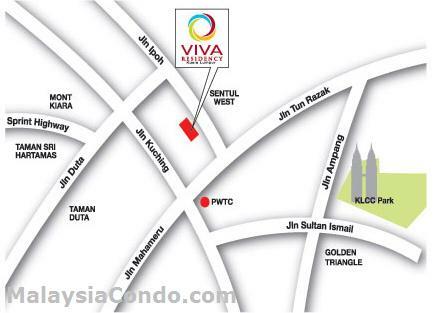 Viva Residency condominium located on a 3-acre freehold land at Jalan Ipoh, KL. Comprises a single condominium block with 214 condominium units. 12 units per floor and each unit has a built-up area of 840 to 1,216 sq.ft. Built-up Area : 840 - 1,216 sq.ft.